Labels: BlackProGen. Genealogy. 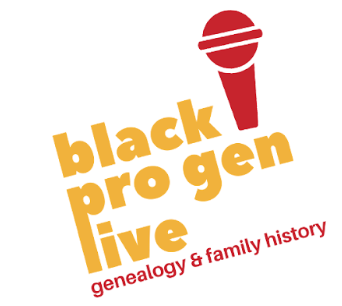 Ancestry. 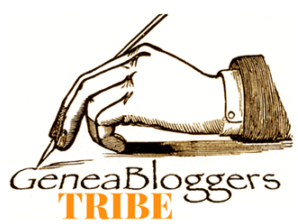 African American Slave Research. Notes to Myself. Labels: Adoption. German Research. Genealogy. Notes To Myself. Today. I was looking at some of my Message Boards that I have SAVED from the Past. Just to make sure I was getting notified on new Posts or Comments and Responses from old Threads. 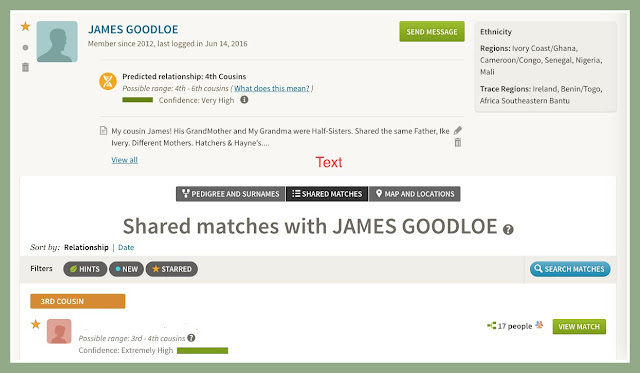 Last week Ancestry rolled out a new feature to some 10% of it's customers. Not sure when the rest will receive the rollout. The feature lets you integrate within the rest of Ancestry about your DNA to keep you from going back and forth so much to the Homepage. You will start to see it in other segments of Ancestry as they go along. I just happened to notice it in Message Boards or did I not? 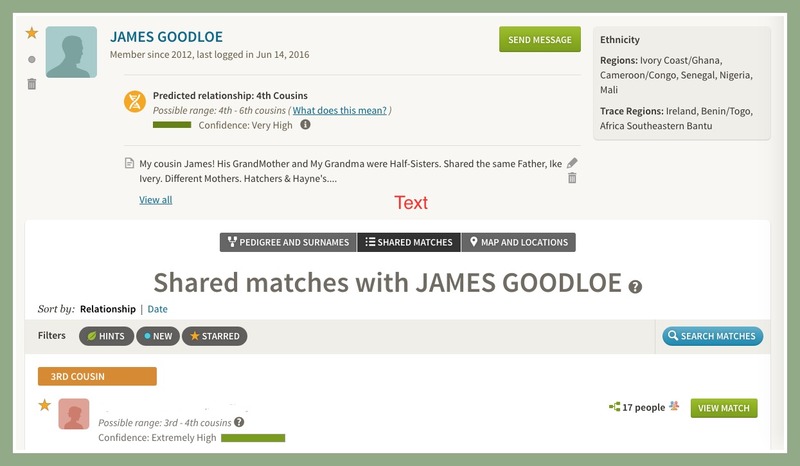 Where else if you are Beta testing the New Feature have you seen it within Ancestry's Walls? This is how it's supposed to be used when I use it for the other Kit I manage, my Cousin James. There are several people included in this List. One is my 3rd Cousin. Her Grandmother and my Grandfather are Siblings. But we all share Granddaddy Ike Ivery in different Grandparent degrees. Then when I click on James's Name. The NEW feature shows me and James SHARE. It does it with the rest of my KNOWN Cousins as well. As I was going to my Message Board. Certain names were highlighted. I'm assuming they are Members and or DNA Tested. I'm not sure of the clickable highlighted names purpose. When I click on the Name of the Person in Message Boards it lets me know if this Person is on my DNA List or not. That's how I ran into all this today. Not sure if it's a Glitch? Or what they call integrated into the rest of the Website. These are the two types of examples I ran into so far. A Match on DNA Homepage. I don't match. I do match a KIT they Manage. 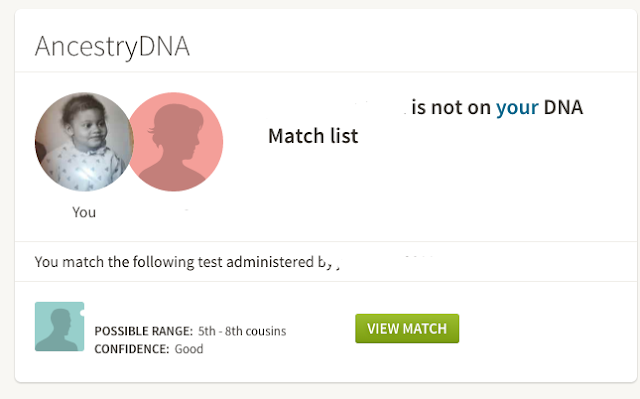 The above image is of a person on my Match List from the DNA Homepage. I click on their Username it lets me know I don't match them but a Kit they manage. Don't know of the inaccuracies or if it's wonky? Or is it just me messing around and trying to make something out of nothing? I had fun for a hour to see consistencies and to see if any of those Queries were any kin to me on the same board by DNA. When I went to a Board where I know I replied and clicked my name. It shows I'm not on my own DNA list. Otherwise it was fun Playing around with Ancestry Shared DNA Tool 🌿 today. I'm trying to get more information, so please be patient with me. I'll have more information when I find out. If you can leave me a NoTe or Comment to give me suggestions or an explanation, that would be AWESOME! I tried to look for my 4th Cousin Linda on the Message Boards to see if she would be on the "Shared Match" New Tool. Her Board name is different from her DNA Results name she uses. So that may be a issue at a later time. We know she matches me and she is on my List through the homepage of DNA Results. This still has potential and I'm gonna keep coming back to it and trying different methods. I hope it's fine tuned as well and not just a Glitch. 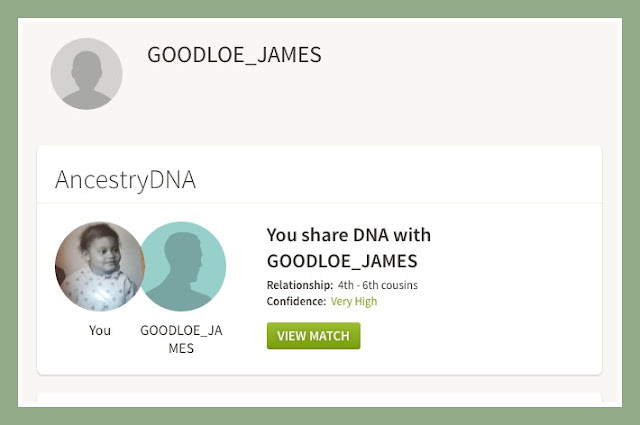 I would love to see my DNA Matches in other places around Ancestry besides the DNA Homepage. Labels: Ancestry.com, DNA. Ike Ivery. Notes To Myself. My True Roots.